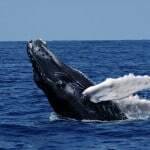 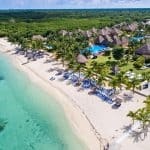 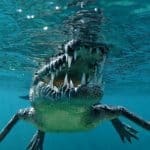 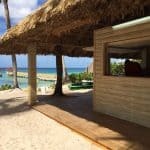 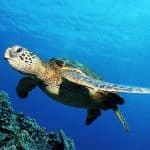 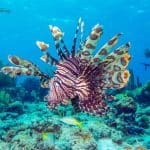 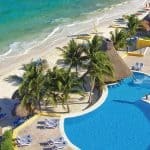 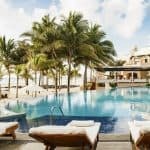 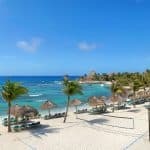 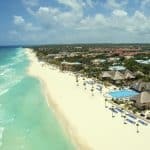 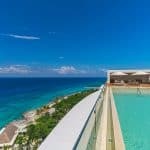 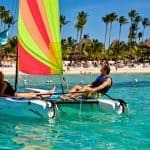 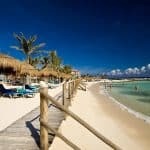 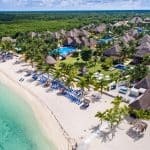 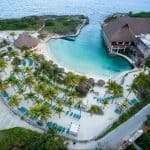 Dominican Republic is famous for its stunning marine environment, colorful coral formations, amazing variety of sea life and unique underwater cave systems. 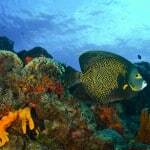 One of the best diving spots is undoubtedly Bayahibe. 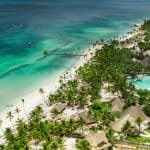 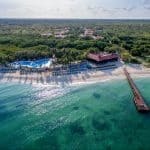 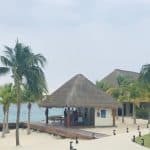 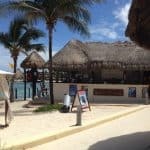 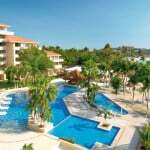 Bayahibe is a small fishing village which is located on the south coast of the Dominican Republic and shows off its Caribbean paradise with plenty of vibrant dive sites. 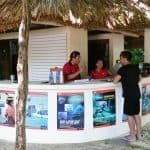 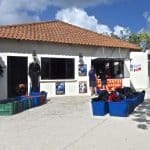 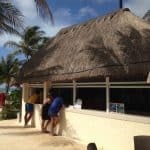 Scuba diving in Bayahibe is not only suitable for beginners but also for experienced divers who can enjoy cave and wreck diving. 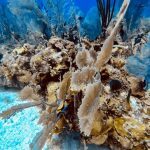 The crystal clear water makes Bayahibe a perfect spot for diving all year round. 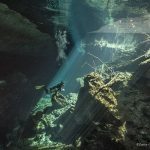 The visibility is between 80 – 100 ft / 25 – 30 m and the water temperature is 77-86 F / 25-30 C.
It’s good to keep in mind that if you go between June and November, you can skip crowds while the season between May and December guarantees the best weather conditions. 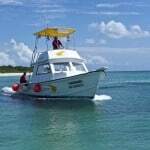 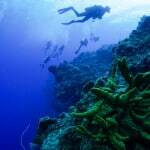 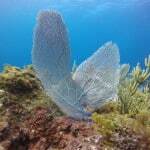 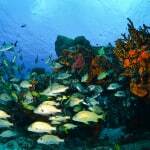 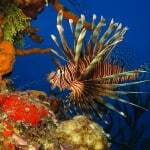 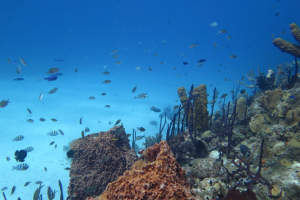 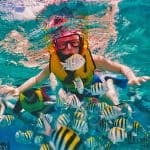 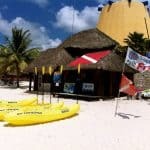 There are around 22 dive sites within area of Bayahibe. 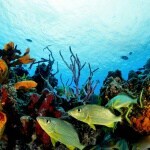 Catalina is a preservation of ecosystems with natural sand dunes, mangroves and reefs. 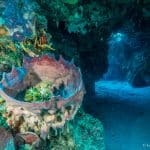 It’s located 1.5mil/ 2.4km from the mainland. 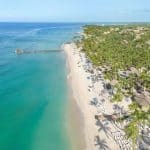 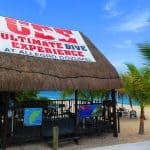 It features one of the Dominican Republic’s most spectacular drop-off’s and reefs, the Santa Catalina Wall and Aquarium Reef. 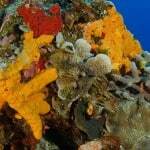 Divers will be amazed by multicolored and abundant marine life. 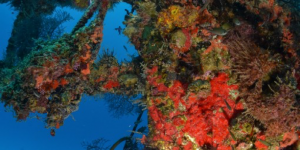 There are many thrilling dive sites known as Viva Shallow, Dominicus Reef, Magallanes or Atlantic Princess Wreck. 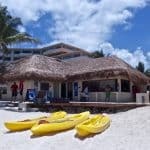 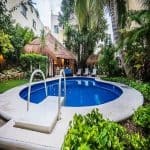 Villa Shalow is one of the most beautiful dive spots in Bayahibe and it’s perfect for beginners. 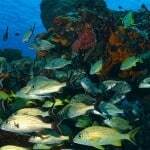 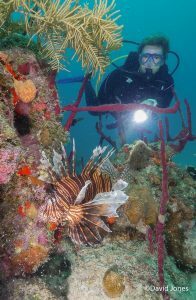 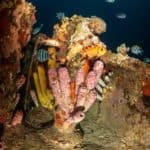 The depth is 7-12 m/ 23-39.4 ft. It’s home to many different species of fish and colorful corals. 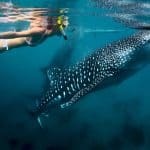 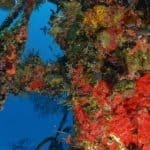 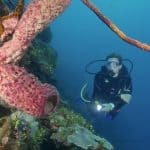 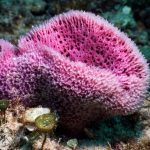 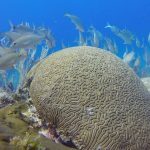 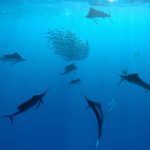 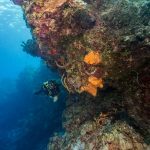 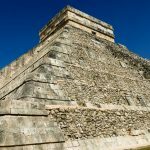 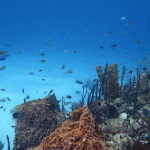 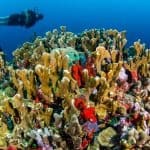 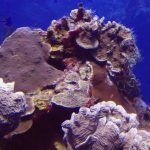 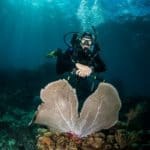 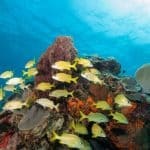 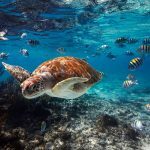 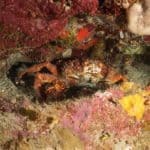 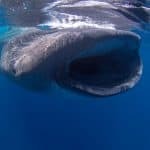 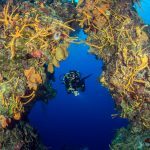 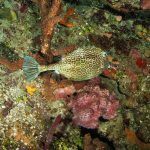 Along the Parque Nacional del Este, divers will find coral reefs full of life at sites like El Peñon, Dos Cocos, La Tortuga and Aquarium Profundo. 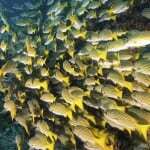 El Peñon is the place which is the most fish-rich are in this park. 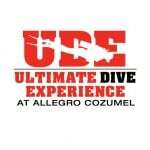 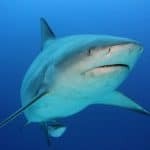 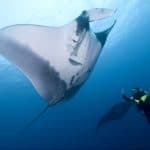 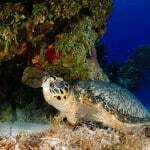 Divers can encounter Moray eels, Atlantic rays, turtles and even nurse sharks among many others. 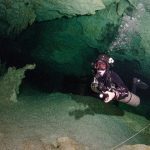 The depth is about 12-14m/39-46 ft. 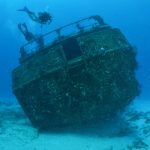 The ship St. George was built 1962 in Scotland to transport wheat and barley between Norway and Americas, used for 20 years and abandoned in Santo Domingo port after. 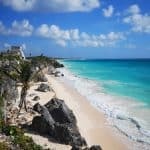 It was renamed St George after the hurricane Georges that hit Dominican Republic (and the whole Caribbean and the gulf of Mexico) in September 1998. 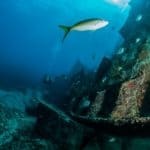 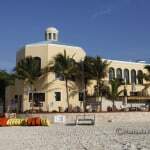 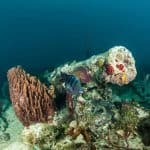 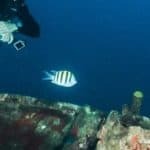 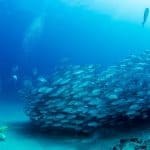 In June 1999 the ship was sunk about 800 m / half mile off the beach, it is a great artificial reef, home to schools of many different fish, especially barracudas. 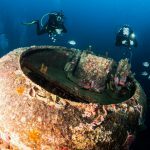 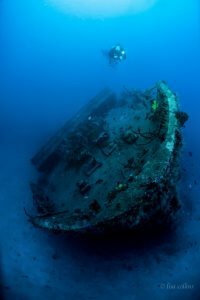 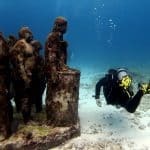 The wreck of Saint George is a perfect spot for advanced divers as its depth is between 72 and 130 feet (22 and 40 meters). 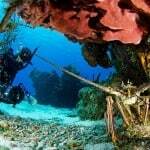 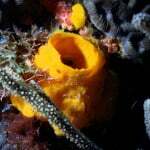 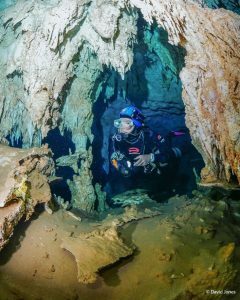 Many cave divers state that the caves around Bayahibe are one of the best. 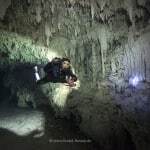 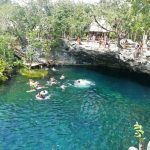 There is a whole system of freshwater caves, only within the distance of 15 min from Bayahibe village. 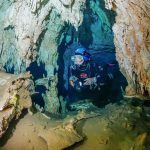 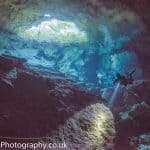 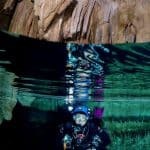 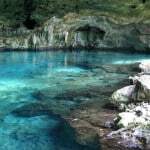 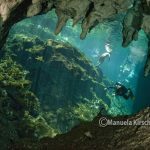 Some caves are very easy to access and also even available for snorkeling. 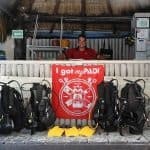 The other ones, on the other hand, are only for experienced cave divers. 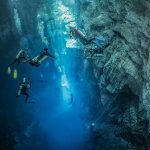 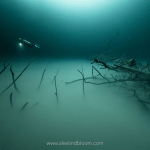 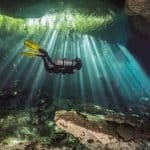 The visibility is great, limited only by the power of the dive light. 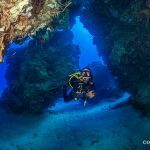 Divers will be mesmerized by unique formations & light effects while cavern diving which is also available in some spots in Bayahibe.